When it comes to movies, go big or go home. Nothing compares with the experience of watching “Jurassic World” or “The Martian” on a screen the size of a stadium scoreboard. Some of our favorite theaters have just one screen; one has 22. It opened in spring 2000 when the sprawling land beneath the Homestead Grays Bridge was still a construction site. With 22 screens, comfy VIP seating in some auditoriums and an upstairs bar and restaurant, it was a hit from the first weekend and it almost never has slowed down. It helped the Waterfront development become a destination and it’s one, too, for movie lovers. The name of the mall is a mouthful: The Galleria at Pittsburgh Mills in Frazer. That’s near Tarentum, 17 miles from Downtown, but rest assured it has its own exit off Route 28. The Cinemark at the mall has 18 auditoriums, including a commercial IMAX 3-D theater with a screen measuring 43 feet by 72 feet. That makes the prospect of watching the latest “Star Wars” or James Bond or “Hunger Games” adventure on your phone or tablet seem downright silly. Even superstars like to go to the movies when they’re in a new city on location and Will Smith visited this South Side mainstay a few times while preparing for “Concussion.” Tom Cruise greeted 1,500 Pittsburghers at the Pittsburgh premiere of locally made “Jack Reacher” here. Beyond the famous faces, though, the theater offers a solid moviegoing experience, 10 screens and plenty of nearby shopping and dining options. 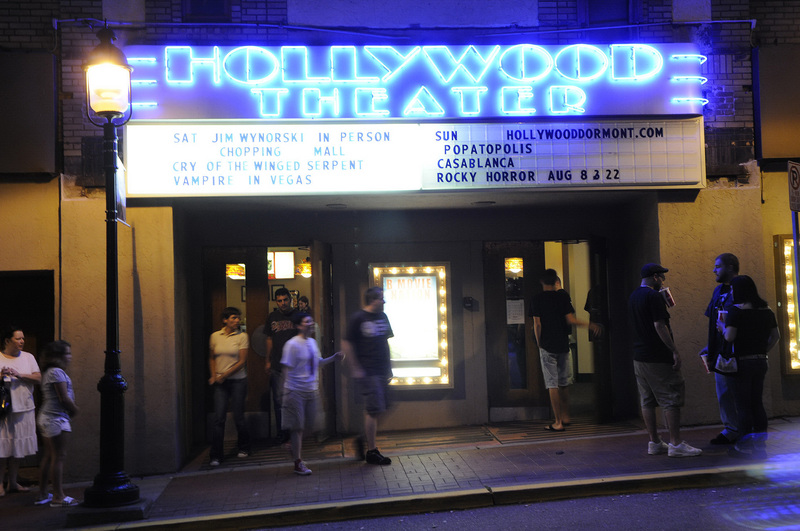 The Squirrel Hill theater celebrated its 90th birthday by completing a $500,000 renovation in 2012 and it has a bar in its lobby for customers who want to steady their nerves or toast their favorite franchise before or after a movie. Also with a lobby bar is Cinemark North Hills and XD, a little more than a year old, operated by a Texas-based chain and located in the new McCandless Crossing development.